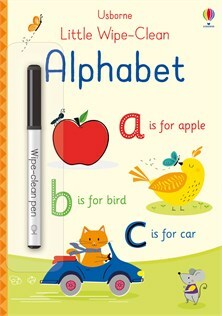 Help little ones learn the alphabet with this fun wipe-clean book. There are letters and words to trace and copy on every page, accompanied by matching illustrations. Durable, wipe-clean pages mean children can practise again and again and there are links to websites with advice on helping children learn to read and write.